your carpet so it's as good as new! Bright Carpet Cleaning and Upholstery Ltd are based in Locks Heath, Southampton and provide professional carpet cleaning services. We are well established in the South East and ideally placed to work in and around Hampshire. We specialise in domestic and commercial carpet, rug and upholstery cleaning services using the most powerful portable cleaning equipment from Prochem. Our experienced team are fully trained and bring with them the very latest equipment from PROCHEM to deliver exceptional carpet and upholstery cleaning. 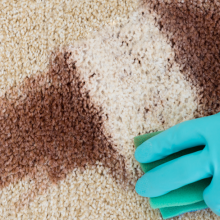 Clean carpet using appropriate cleaning method, subject to dye bleed test being carried out. 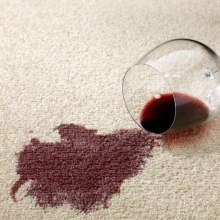 Replace furniture in original position, placing Prochem waterproof carpet protectors under the legs and feet of furniture. 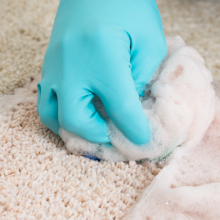 Depending on the task, we will typically use a powerful hot water extraction system which cleans deep to the roots of carpets. 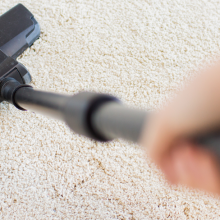 This cleaning method is known to be one of the best ways of disinfecting, cleaning and deodorising carpet fibres by eliminating dirt, stains and bacteria. 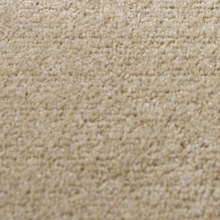 We’re so confident that you’ll be delighted with your freshly cleaned carpet that we offer a Quality of Service Guarantee. If you’re not entirely satisfied, we’ll revisit or offer your money back. For professional carpet cleaning, please get in touch to find out how we can help you. Remember to enquire about our special discounts for commercial clients. We always provide a free written quotation prior to cleaning.